It has been a while since Lucy and I have had the chance to enjoy a nice walk with the thought of a great roast at the end of our journey. It is wet and cold and I’m looking forward to being inside in the warm. We walk along the windy sea front with the rain dripping off my glasses, I cannot wait to arrive at The Salt Room and dry off. Normally we would be visiting to try out their amazing fish dishes, however today we are here to sample the new sharing roast menu. 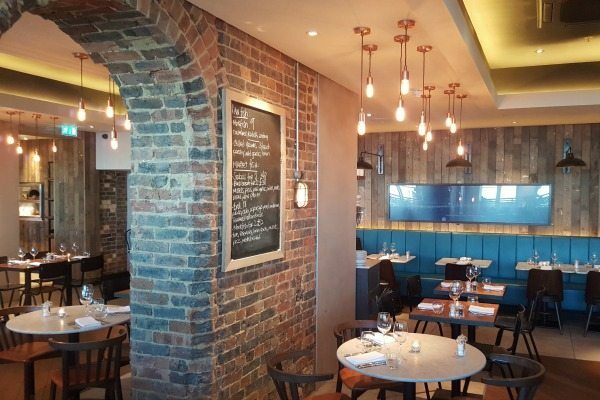 Headed by the team behind the Coal Shed, you know The Salt Room‘s meat is going to be as good as the fish! On arrival we are greeted with large smiles and have our coats taken and hung up for us. We are then taken to our lovely little table at the window overlooking the sea. The waiter hands us the drinks and food menu and talks us through the specials board. We know we are here for the roast but the sharing sea bass sounds amazing and I’m sure we will squeeze in another visit in the near future. 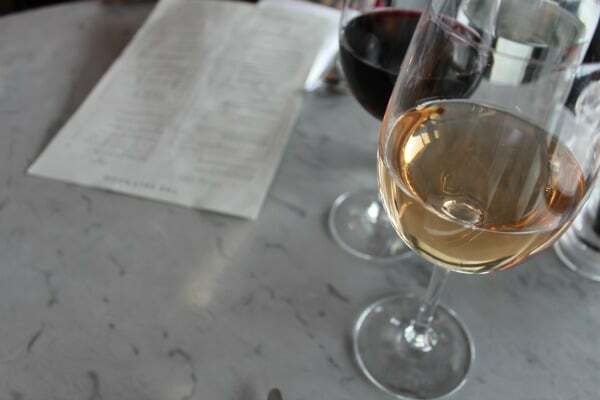 We order some wine – I cannot resist a good Malbec from Mendoza so my choice was very quick. Lucy on the other hand shocks me, normally one for a Sauvignon Blanc she chooses a Rose from the Chateau Sainte Marguerite in France. The Malbec is superb, fruity yet smooth and it slips down a treat. Lucy’s wine is light and not overly sweet, she loves it so I am happy. OK so we are in one of Brighton’s leading seafood restaurants, surely it’s rude not to at least share a seafood starter? 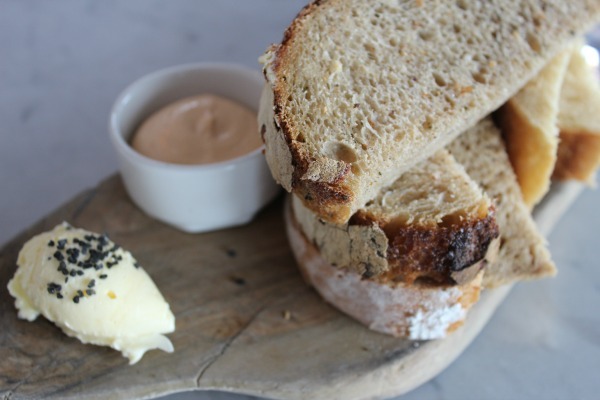 I love the brown crab mayonnaise they serve with home baked sourdough so that is added to our order, the fact that it is also served with the best tarragon butter in town makes this the perfect way to nibble and start a meal. I could eat buckets of the brown crab mayonnaise and a trip to The Salt Room is not complete without a taste. For a small shared starter we order the mackerel served with beetroot and horseradish. 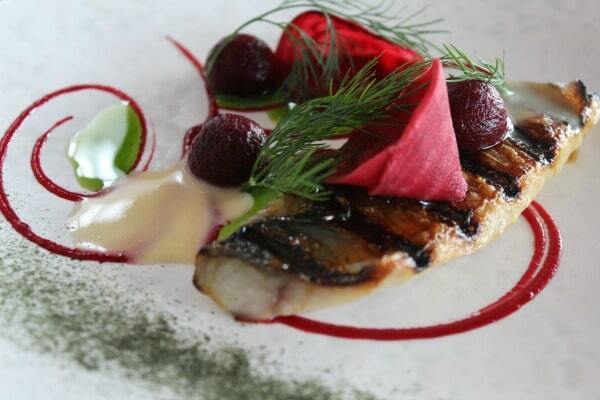 The mackerel fillet is presented on a plate with swirls of bright red beetroot sauce and vibrant green dill. Delicate spheres of beetroot are placed perfectly around the mackerel, which is griddled on top to add the wonderful charred look and taste. Horseradish cream and beetroot flowers finish the plate to make a dish that tastes as amazing as it looks. The horseradish just brings everything together making a wonderful starter, boy do the Salt Room know how to cook their fish perfectly. As we are relaxing and enjoying our wine, we look around the restaurant as it is filling up and I see a couple of people being served their sharing roasts. 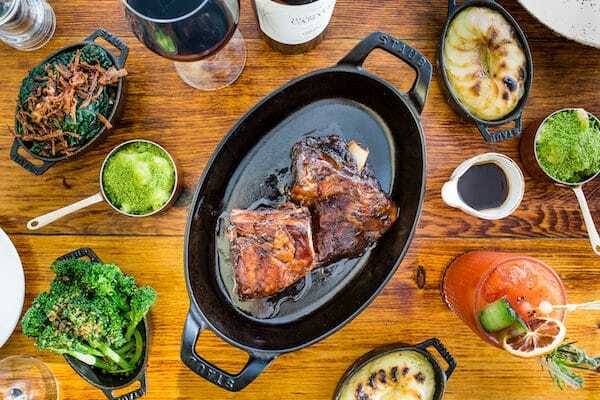 I am very excited, the presentation is amazing and everything they bring out makes me jealous I hadn’t ordered that, I really do believe whatever you ordered you would be very happy. The waiter serving our main course places down the most impressive looking lamb shoulder with a dark rich glaze, he explains that it has been cooking away for four hours and will just melt in the mouth. Serving the lamb in a little cast iron pot gives us both a wonderful feeling that we are about to enjoy a mini banquet. The lamb is served with an amazing mint jelly, such a refreshing change from a shop bought jar being plonked on the table. 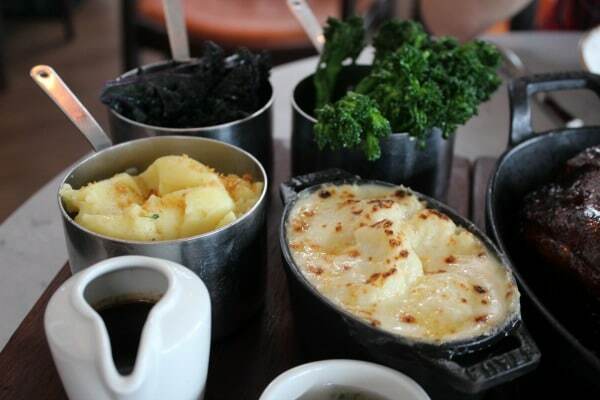 The sides are all served in little saucepans except the truffle cauliflower cheese which also has its own cast iron pot. 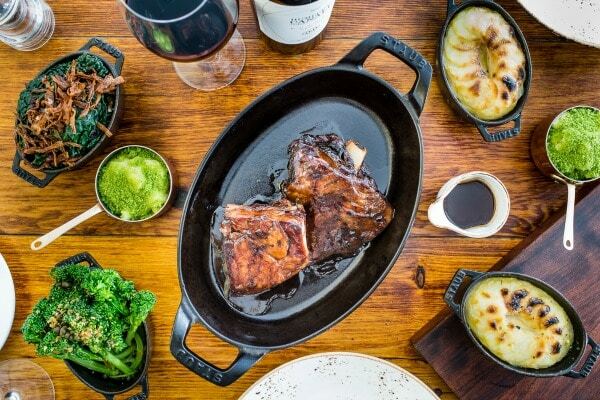 With a little jug of rich gravy to finish the spread, the Salt Room have managed to transform the humble roast into an elegant sharing feast for two! Rather than the traditional roast potatoes we have a creamy, smooth mashed potato that when mixed with the gravy is insanely good! The addition of truffle in the cauliflower cheese adds a slightly nutty, earthy taste to everybody’s favourite accompaniment and it is delightful, it almost makes it feel more grown up, an adult’s accompaniment if you will. I love my kale and have never tried a red variety before. It is just as nice as the green varieties so I am more than happy. And what roast is not complete without some broccoli? The tender stem broccoli is my favourite and they have cooked it perfectly, with a little bite and full of flavour. 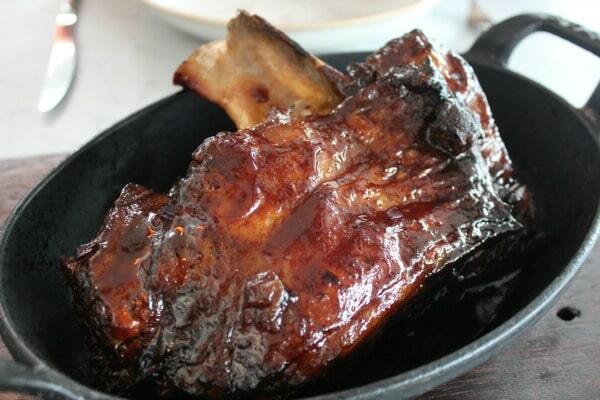 Though the star of the show is of course the lamb and the waiter was right, it just falls off the bone. The slow cooking has added so much flavour to the meat and the glaze adds another richness, using the mint jelly to cut through this makes for a tasty mouthful. What I cannot believe is the portion sizes which are huge! Using such quality products they keep the traditions of a roast in size but take the presentation, and even more importantly taste, to another level. We are full to the brim and staring at the remaining lamb I realise I could not possibly fit in another bite. This leaves me slightly disappointed as I know I have no room for dessert and I have seen the people next to me be served the sharing Taste of the Pier for two. The dessert really does have the wonderful seaside feeling to it, with mini 99 cones, doughnuts and candy floss, all I need to do is book in our next visit and save enough room. What more can I say, there is a reason The Salt Room is so popular. Even on these cold wet afternoons it is worth the visit for the service, food and setting. Amazing for fish and now a roast that can stand head and shoulders above the rest, book a table today.